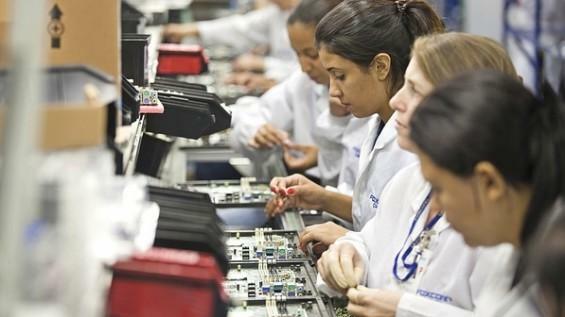 Factory workers at a Foxconn plant in Jundiaí, Brazil are complaining of overcrowded buses, poor food and a lack of water and have threatened to strike unless the issues are resolved by May 3. According to a report by Brazil's Tech Guru (Google Translation), over 2,500 Foxconn employees have complained about conditions at the factory. Workers reportedly met last Monday to raise the concerns and have given the company 10 days to address them. Problems at the factory have been exacerbated by the recent hiring of more than a thousand employees. Foxconn was said not to have increased its transport infrastructure with the new hires. The company reportedly had to hire water trucks to bring in water for its employees. 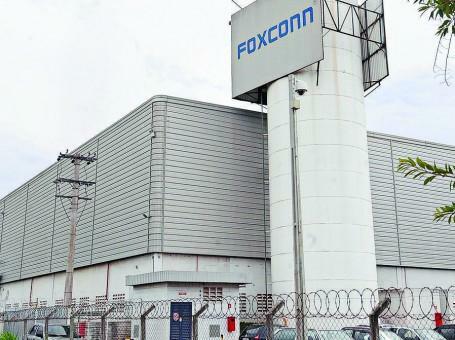 A representative for the employees was optimistic that an amicable solution could be reached with Foxconn without resorting to a strike. The report did not specifically mention whether the workers involved are serving on production lines for Apple's iPhone or iPad. iPhone 4 units produced in Brazil reached the market last February, while Apple is said to have received approval to begin selling iPad 2 units that have been manufactured in the country. In January, it was reported that Brazilian officials were claiming Foxconn had plans to build five additional factories in the country to help produce Apple devices. Each of the new facilities would reportedly staff approximately 1,000 workers. However, Foxconn called the report "pure speculation." Though Apple has identified Brazil as a key growth region, CEO Tim Cook said earlier this year that the company is not planning to build retail stores there in the "near future."